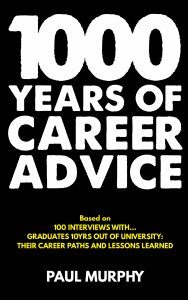 My guest in this episode is Paul Murphy, author of 1000 Years of Career Advice, based on interviews with 100 graduates about their work experiences in the 10 years following university. 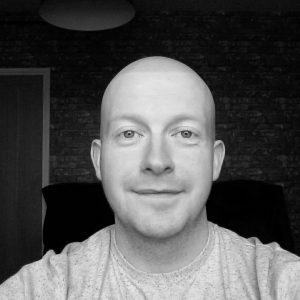 Paul has over 10 years of experience working in various finance roles for multinational firms. He qualified as an accountant (ACA) while working with a big 4 professional services firm in their advisory department. He is also a qualified project manager (Prince 2), programme manager (Managing Special Programmes), and a Lean Six Sigma Green Belt. He was inspired to write this book while he was working in finance in a career field which his parents had encouraged, but not in something he felt particularly passionate about. He realised that many of the people he knew also found themselves led into careers more by circumstances than by their own design. Was he alone in not liking what his career had become? He investigated to find out and--spoiler alert: his situation wasn’t unique or even unusual. When I spoke with Paul, he shared his findings on why people end up in a place they never intended and what they can do about it. Paul’s interviews reveal so much about careers in the real world because they reflect real experiences. There’s also invaluable advice for people who want to make a career change and for new graduates (or about-to-be graduates) who want to move into a career they love. For the lucky few who are inspired from a young age or who have a great passion or talent, choosing a career is easy. However, Paul found that most people aren’t in that situation. He found that ten years down the career road, some people felt trapped, that maybe it was too late to start over again. Paul’s advice in that situation? Look forward. Don’t worry about the sunk costs/years. If you really want to, it is not too late to change career. Paul’s interviews are individual case studies in how to shape your career. Get as broad an experience as possible, especially in your twenties, so you get a good idea of what you do and do not like. It’s a great time to give things a try before you get too many responsibilities. Network—that is, don’t be afraid to get in touch with people to learn about what they do. Most people love to talk about themselves and will be happy to tell you about the highs and lows in their jobs, and practical issues you may not have thought about. Do things which make you uncomfortable. You’ll learn a lot about yourself and what suits you. Travel and get experience from around the world to learn about different processes and cultures and how things work. Paul also stressed that you shouldn’t stay in one place too long. If after two years you’re no longer learning and you don’t see a way ahead, think about making a change. My favourite tip from Paul is an inventive way to get work experience by volunteering your social media skills to small businesses who may lack that expertise. Agree to work for two weeks to get their online presence established. It’s an excellent way to get useful work experience and gain great business insight. 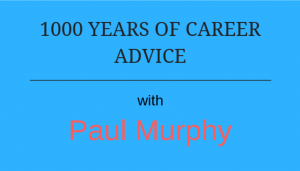 1000 Years of Career Advice by Paul Murphy is available from Amazon. Whether this is the first episode you've come across, or if you've listened to all 88, I would love to hear your feedback. Reviews on iTunes are hugely important to the success of the show, so I would be incredibly grateful if you were able to spare a minute to leave some honest feedback there. Thanks so much if you are able to help. Click here to leave a review.